Pie rules and when fall rolls around, it’s time for pie spices in everything! This simple recipe for pie filling is not only absurdly easy, but it’s relatively fast and low-calorie (for a dessert). I tried to make it so that you can still taste all of the apple flavor, but still get that sense that you’re eating a sweet fall pie. 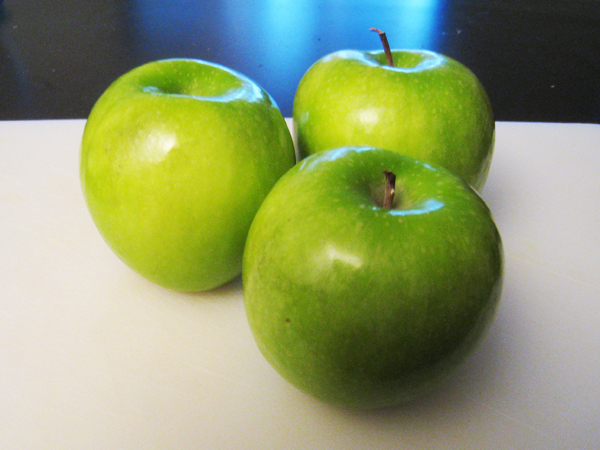 Peel and core three Granny Smith apples. 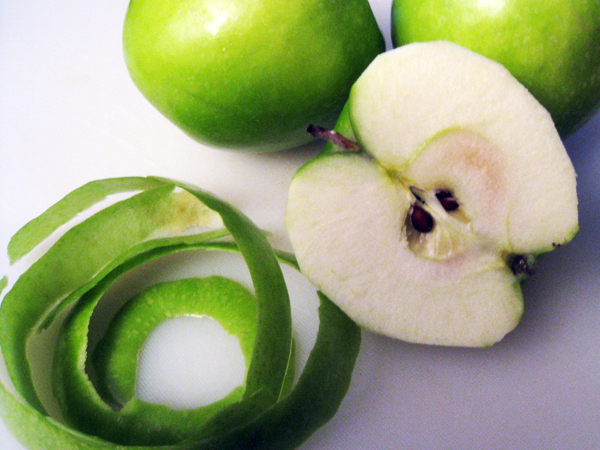 Slice the apples into medium-thin slices along the height of the apple. Place the frying pan/skillet and set the stove to medium heat. 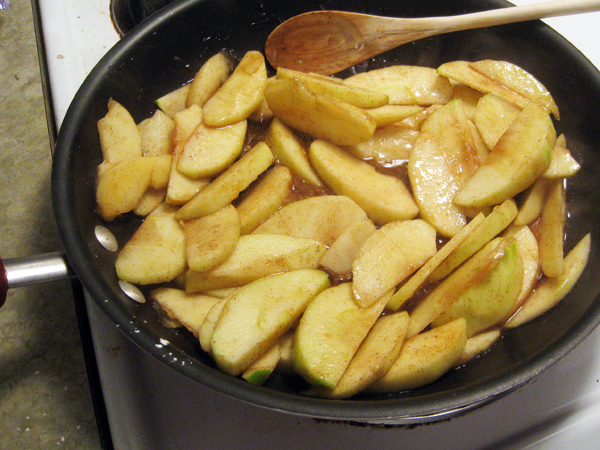 Toss the apple slices into the pan, but save a few slices of apple to the side (maybe 8). Mix 1 teaspoon of corn starch into a 1/4 cup of cold water. Add cinnamon to the apples and stir until the apples are well coated. Add the brown sugar to the apples and stir until the apples are well coated. Lastly, add the corn starch and water mixture to the pan. Mix the apples frequently until they start to get soft. You don’t want them to fall apart, but they should start to bend a bit (5 – 10 min). 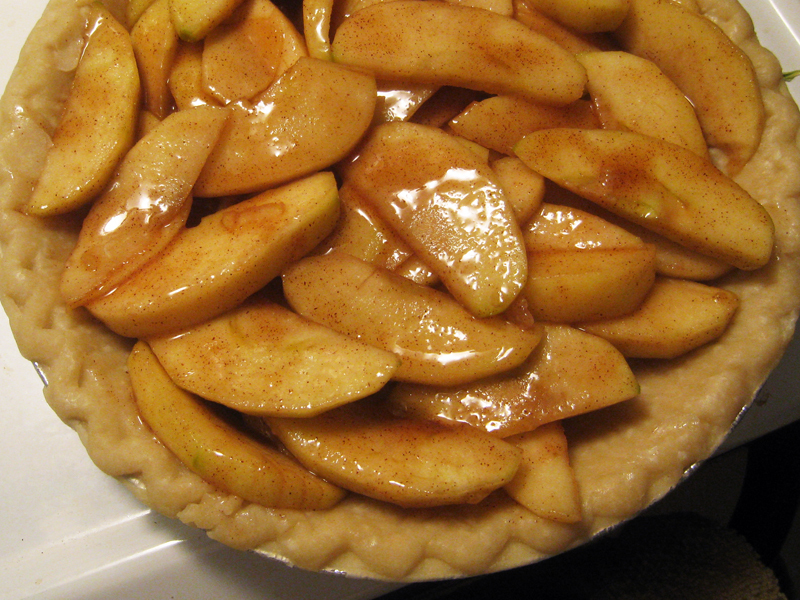 Once the apples are softer remove the pie filling/dessert topping from heat and wait for it to cool a bit before using it, but also feel free to use it hot if using it as a topping. After removing the apple mix from the heat, dump the mix into your pie crust, which should already be in a pie dish (this is an open-face pie or apple pie without a top). 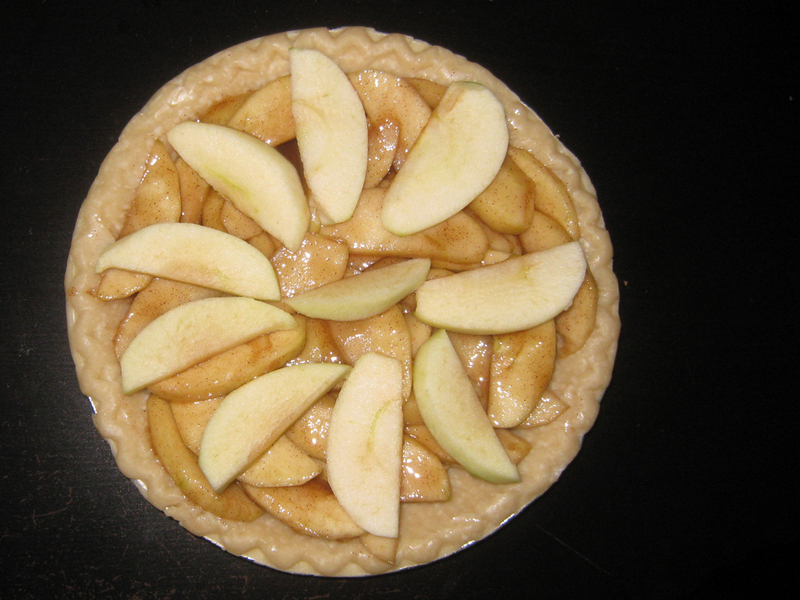 Add a few slices of the uncooked apple on top of the pie in any pattern to give it a decorative look (the contrast of the raw apple with the cooked apple actually looks really nice). Place the pie in the middle rack and let it cook for 25 minutes or until the crust becomes a deep golden brown. After baking the pie, take it out of the oven and let it cool for at least 30 min. before serving. Note: Without a top layer of pie crust to cover the pie or a crumb topping, you really save a lot of calories. Nonetheless, feel free to cover the apples with another crust or crumb topping (both of which are mostly just more delicious sugar, butter, and flour). Optional: Try it with a scoop of ice cream on the side! Pre-heat the oven to 375 or 425 degrees. Place puff pastry shells into the oven for about 20 – 25 minutes or until the pastry is a light golden brown. Slice a puff pasty shell in half and lay the halves side by side on a plate. 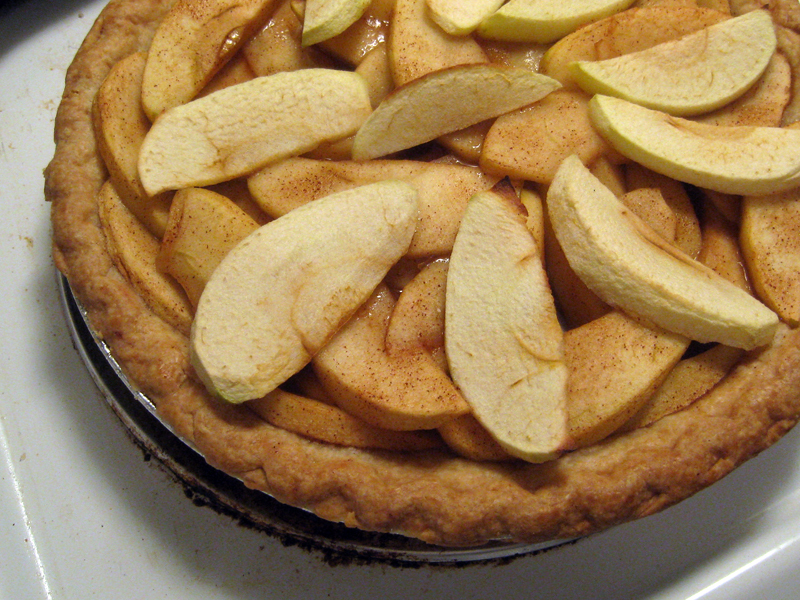 On one half, lay a few slices of the apple from the apple pie filling mix. On the other half of the puff pastry shell, put a scoop of vanilla ice cream. 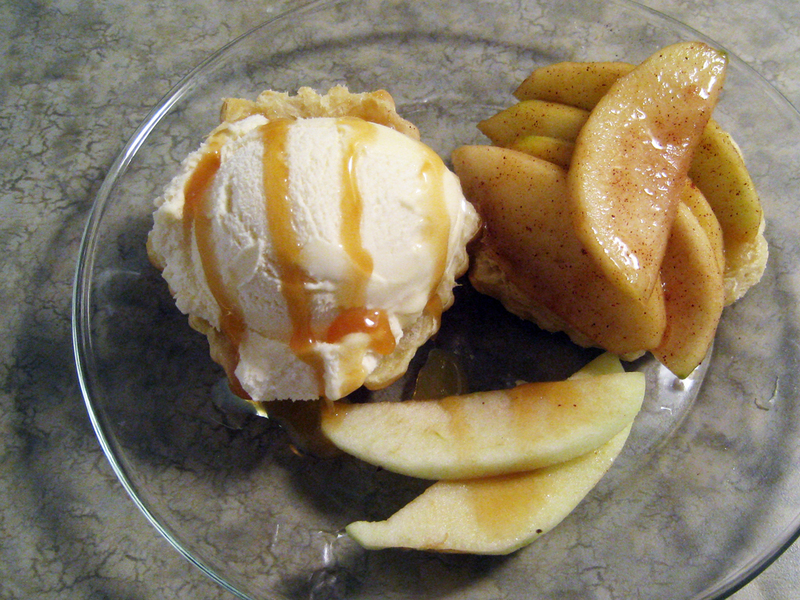 Optional: Drizzle 1 teaspoon of caramel syrup over the ice cream and on the plate. Optional: Put some raw apple slices on the plate for a contrast of flavors.